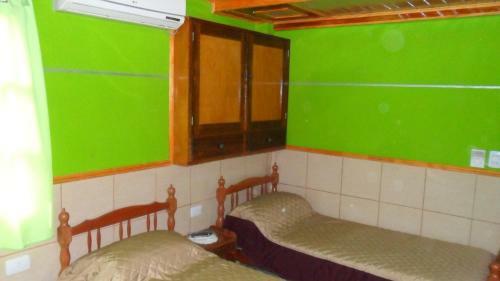 This twin/double room has a private bathroom with bidet and air conditioning. Towels and linen are included. 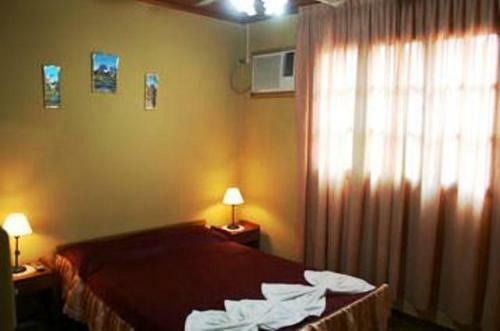 This quadruple room has a private bathroom with bidet and air conditioning. Towels and linen are included. This family room has a private bathroom with bidet and air conditioning. 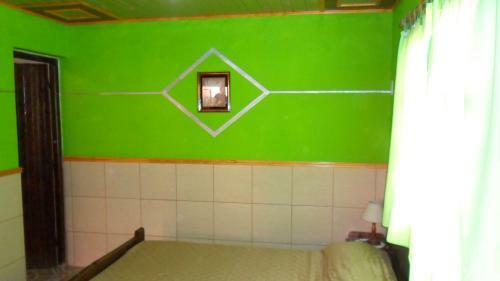 Towels and linen are included. 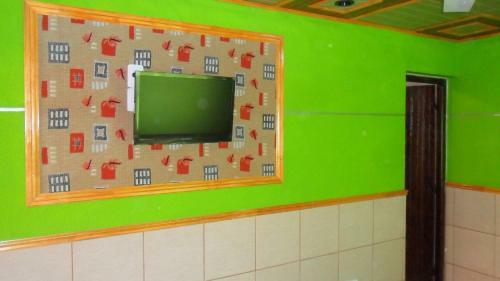 This apartment has a private bathroom with bidet, complete kitchen with dining area, a seating area and air conditioning. Towels and linen are included. 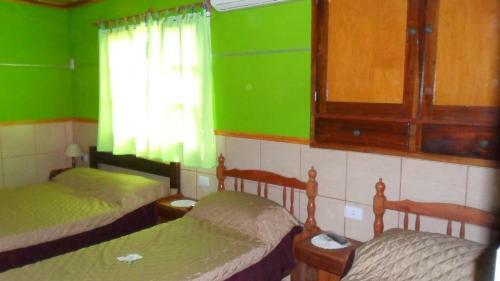 The colourful Residencial Arcoiris in Puerto Iguazú provides free Wi-Fi, continental breakfast and a shared kitchen for guests to use. It lies half a block from the principal avenue of Victoria Aguirre. 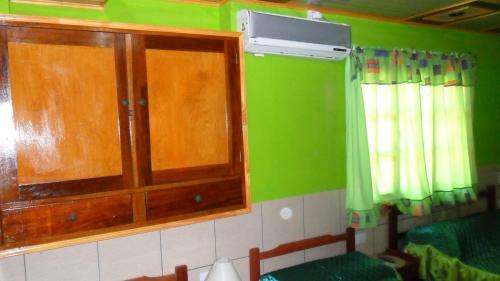 Rooms here have splashes of bright colour and wooden furniture. 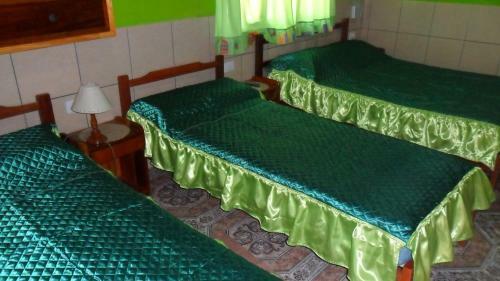 Each will provide you with a private bathroom with bidet and air conditioning. Towels and linen are included. 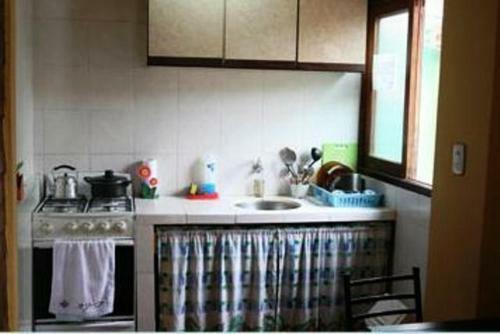 The apartment features a complete kitchen with dining area, and a seating area. 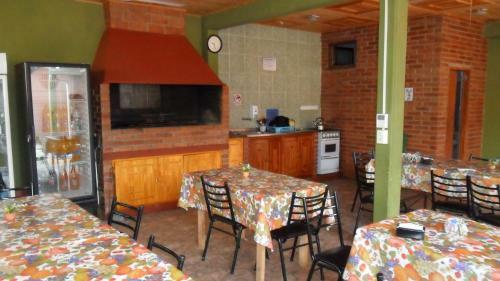 At Residencial Arcoiris you can make the most of the BBQ facilities and shared TV room. Luggage storage is possible. 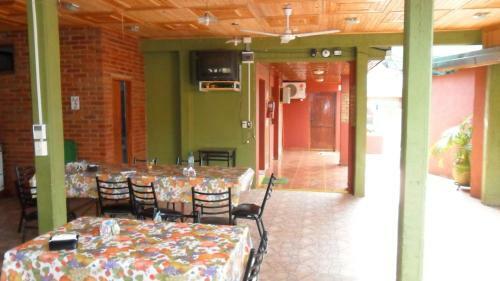 The inn is 22 km from Iguazú Falls and 3 blocks from Puerto Iguazú bus station. Cataratas del Iguazú International Airport is 17 km away. 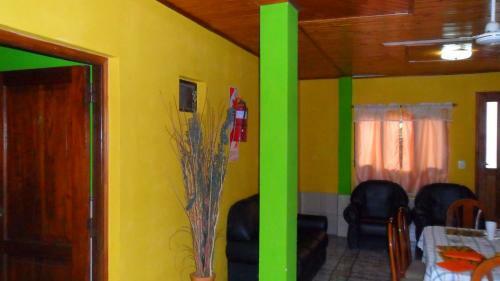 Residencial Arcoiris offers free parking. La comodidad y ubicación del lugar. La amabilidad de todas las personas que lo atiende. Very friendly and helpful owners, talked a bit with my basic Spanish. Really nice people! Little bit expensive, but all right.